As the premier manufacturer of Foil Stamping, Embossing and Die Cutting equipment, Kluge understands that the two most important considerations when purchasing any piece of equipment are: Performance and Economy. We hold a strong reputation for excellence in providing high quality, remanufactured Kluge EHD and EHF presses that are reasonably priced. These presses have passed the same rigorous quality control testing that our new Kluge equipment goes through. All new and remanufactured Kluge presses come with an owner’s manual and a part’s manual. A new Kluge press has a one year warranty on parts and a remanufactured Kluge has a 6 month warranty on parts. Kluge maintains a complete inventory of parts for all presses that are currently manufactured. For product liability reasons we do not sell parts to machines manufactured before 1960. 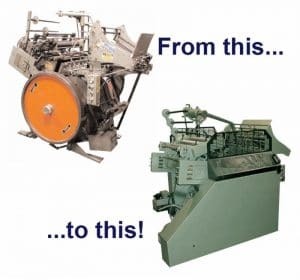 The purchase of a new or remanufactured Kluge includes installation. Additional operator training is also available. All Kluge presses, new or remanufactured, are guarded to meet current OSHA and ANSI standards. Kluge welcomes visitors to see a press prior to shipment. Kluge will be happy to demonstrate the press for you or send you samples of work produced on the press.